Proceeds from all November to January sales of ‘White Wine In The Sun’ go to the NAS again this year! Hey! 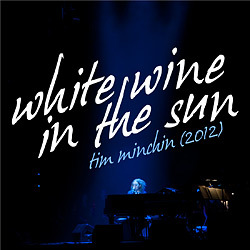 It’s that time again and as in previous years, all November, December and January profits from the sale of Tim’s beloved sentimental Christmas song, White Wine In The Sun, will go to The National Autistic Society (NAS) which provides support for people with autism and their families. There are two versions; the 2009 solo version and the 2012 studio version, with strings, french horn and more. Along with the UK iTunes link above, here are a few more of the places you can download the 2012 single internationally: iTunes , Amazon (UK), Amazon (US) and 7digital. Tickets are now on sale for Groundhog Day on Broadway! Tickets are now on sale for Groundhog Day on Broadway from Ticketmaster.com or by calling (800) 745-3000. Previews, at the August Wilson Theatre, begin March 16th, 2017, with the official Groundhog Day opening night set for April 17th, 2017. 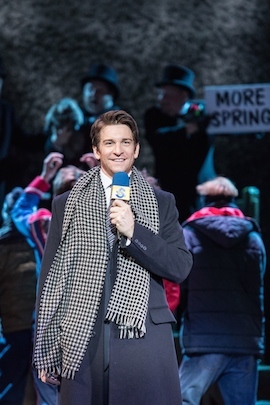 Andy Karl will reprise his much lauded London performance as Phil Connors, a cynical Pittsburgh TV weatherman sent to cover the annual Groundhog Day event in the small town of Punxsutawney, Pennsylvania. Caught in a time loop, he’s forced to relive the same day again and again…and again. Further Broadway casting is yet to be announced. The show reunites composer and lyricist Tim, with director Matthew Warchus, choreographer Peter Darling and designer Rob Howell, four of the Matilda The Musical creative team. They have joined forces with writer Danny Rubin to collaborate on this new musical based on his 1993 hit film. Groundhog Day is being produced on Broadway by Matthew Warchus and André Ptaszynski for Whistle Pig, and Lia Vollack for Columbia Live Stage. 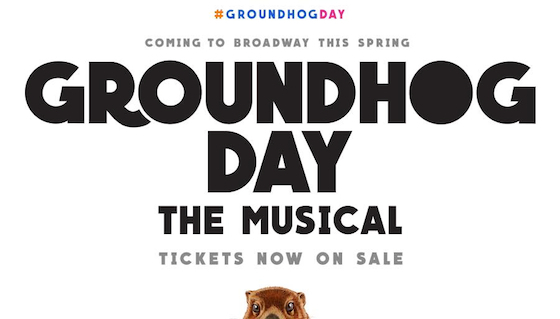 Additional information can be found at groundhogdaymusical.com. Groundhog Day enjoyed a hugely successful and critically acclaimed 10 week season at the Old Vic Theatre, London, in the summer of 2016.